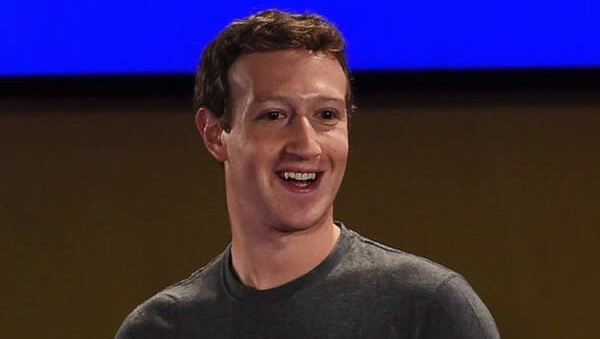 This is Mark Zuckerberg, the creator of Facebook. "At Facebook I spend a lot of time working with engineers to build new things. Some of the most rewarding work involves getting deep into the details of technical projects... 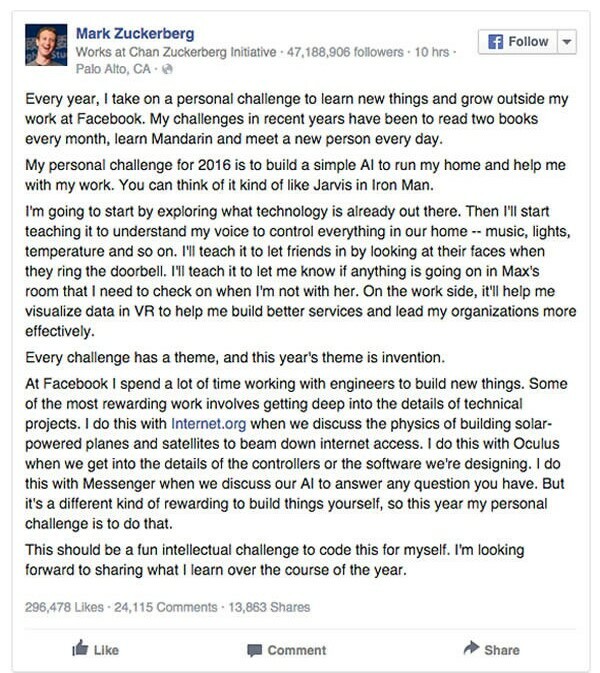 But it's a different kind of rewarding to build things yourself, so this year my personal challenge is to do that," Zuckerberg wrote. The comment reads: "I keep telling my granddaughters to date the nerd in school, he may turn out to be a Mark Zuckerberg! Thanks for FB, I've reconnected with family and old friend and classmates." "Even better would be to encourage them to *be* the nerd in their school so they can be the next successful inventor!" Solid advice for young women, Zuckerberg.